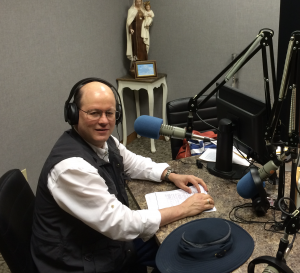 Questions I Answered on the Resurrection on Catholic Answers Live. You can listen on-line here or download podcasts here. 1. Why does Paul say Peter was the first to see Jesus when the Gospels say it was Mary Magdalen? 2. Why did you call a priest a heretic? Or, was the resurrection a real physical event? 3. Did the Virgin Mary see Jesus first after his resurrection? 4. If Scripture says Jesus resurrected on the third day, why did he rise on Sunday instead of Monday? How many days was he in the tomb? 5. In Matthew’s Gospel it says that many tombs were opened and the dead resurrected and they walked around Jerusalem. What is that about and is it literal? 6. Who was the “other Mary” that was at the tomb early in the morning? 7. Was the other Mary at the Tomb the Blessed Virgin? 8. A doctor asks: I think the Shroud should help skeptics believe in the resurrection; do you agree? 9. With such evidence of the resurrection, why did so many of the Jews not believe especially after the prophecies of Isaiah? 10. How many times or in how many places was Jesus seen after his resurrection?